A 7-day safari with more than a hint of adventure- from the rugged and beautiful wilds of Meru, to the rolling plains of Loisaba and its offering of exciting safari activities, to the spectacle of nature's greatest theatre, the Masai Mara. Day 1: Nairobi > Meru National Park Enjoy breakfast at Hemingways Nairobi Hotel (optional) before you transfer to Wilson Airport, Nairobi. The SkySafari takes to the air. Arrive in Meru National Park. Enjoy lunch at Elsa's Kopje. Be pampered with a Massage or alternatively enjoy an afternoon game drive in Meru National Park. Rugged and remote, Meru National Park was rescued from oblivion thanks to Elsa's Kopje, an environmental award-winning, boutique lodge. 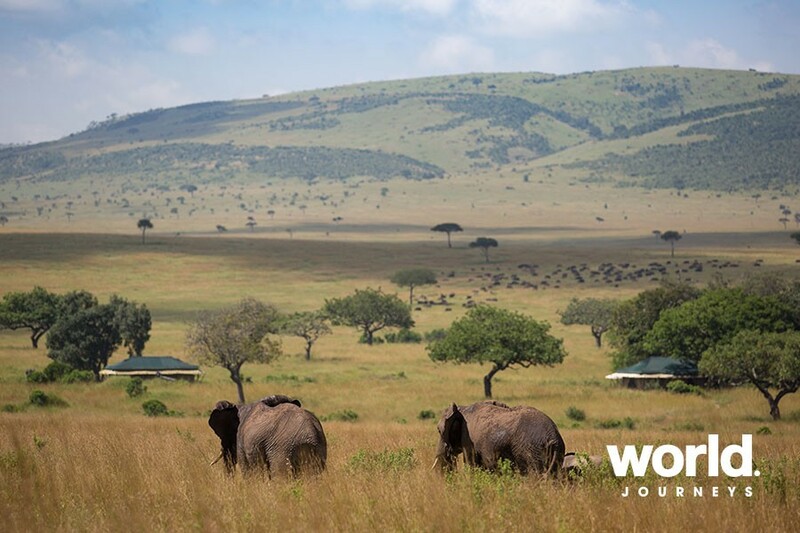 Visitors get the whole place to themselves: all 870 km2 of it, including a thriving rhino sanctuary inside the Park. Famous for large elephant herds, lion and birdlife, and more diversity of animal species than any other park in East Africa. Activities include nature walks, fishing in the streams, game drives to Kora and Bisanadi National Reserves, and evening game drives back to camp. 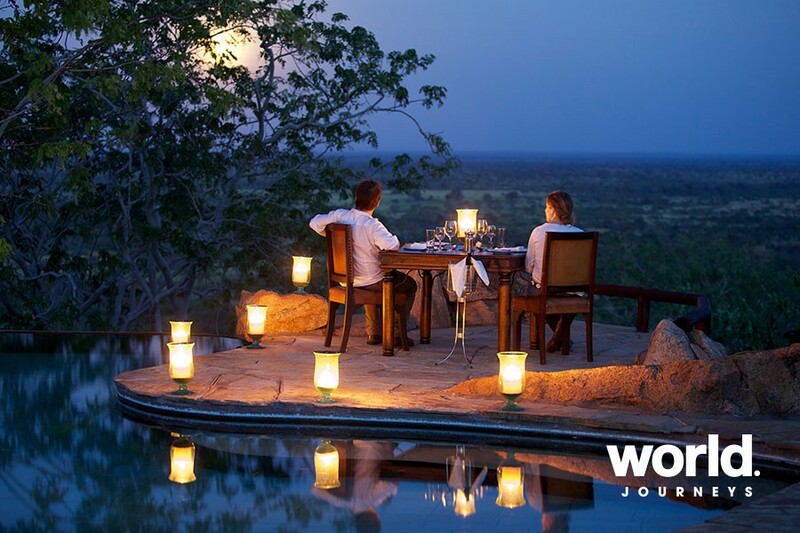 Unashamedly romantic and beautifully styled, Elsa's Kopje is sculpted into Mughwango Hill, above the site of George Adamson's original camp where he raised and released orphan lions, long before conservation became fashionable. Each cottage is crafted round the rocks, with a large bedroom, open sitting room, veranda, rock-hewn bathroom, and breathtaking views. Day 2: Meru National Park Enjoy an early morning game drive with lunch at Elsa's Kopje. Afternoon Game Drive before scenic sundowners overlooking the park. Day 3: Meru National Park > Loisaba Conservancy, Laikipia Begin your day with an informative nature walk in the National Park. After the walk, have lunch at Elsa's Kopje. 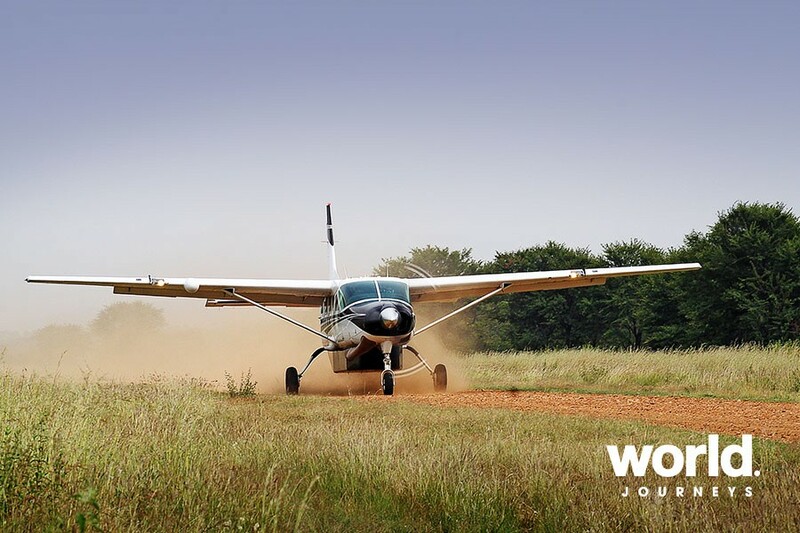 Transfer to the Airstrip to board your SkySafari flight to Loisaba Conservancy. Enjoy a game drive en-route to Loisaba Tented Camp. Arrive at the camp in time for drinks and dinner. Loisaba Conservancy is outstandingly beautiful, its abundant wildlife is truly wild and its accommodation is comfortable beyond measure. 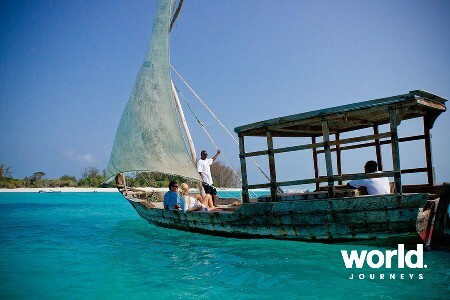 Loisaba is made for adventure: guests enjoy complete freedom to choose how they spend their time so the only barrier is your own imagination. Trek through the bush with camels, mountain bike down the escarpment, raft, horseback-ride or drive through the wild canyons of the two great rivers that span the vast property. 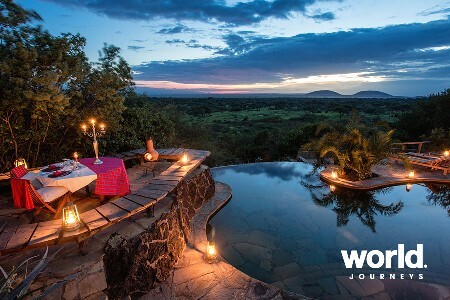 Perched on the edge of an escarpment with unhindered views across the Laikipia plains to Mt Kenya, Loisaba Tented Camp is the ultimate blend of sophistication and nature. A main bar, lounge and dining area with chic Africana decor, and a tantalizing infinity pool are designed to maximize on the expansive views. Day 4: Loisaba Conservancy, Laikipia Begin your day with a walking safari with traditional Samburu guides. Return to camp for breakfast and a refreshing swim. Lunch at the Camp. Afternoon game drive or fishing in the river. Sundowners in the bush. Dinner under the stars. Day 5: Loisaba Conservancy > Masai Mara Game Reserve Early morning game drive or explore on camelback (optional). Breakfast in the bush. Lunch at the Camp. Transfer to Loisaba Airstrip. SkySafari Flight to the world famous Masai Mara. Game drive en-route to Sand River Masai Mara Camp. Located on the banks of a river from which it has taken its name, Sand River Masai Mara is located within the Masai Mara National Reserve, close to the Tanzanian border. 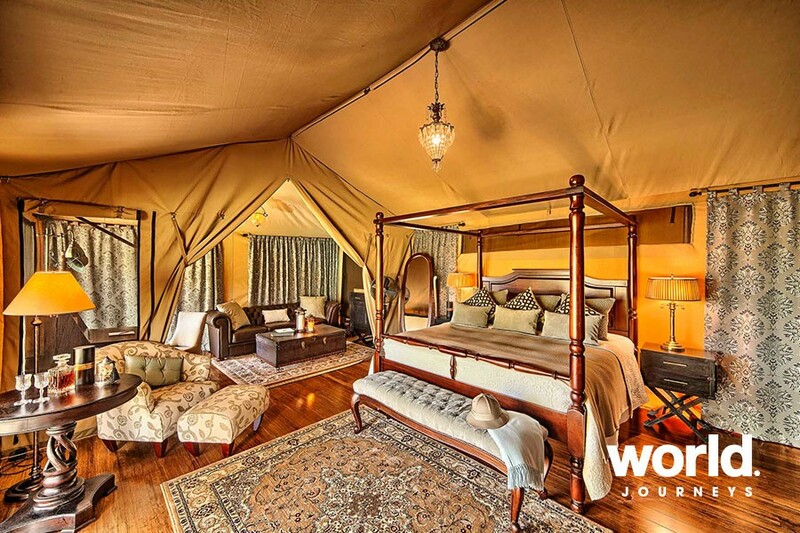 Situated on a secluded and picturesque site, the Camp replicates the heyday of exclusive permanent tented camps of the late 1920's. The interior fixtures and furnishings mirror this period perfectly, reminding all who visit of those countless Hollywood movies that have paid homage to a classic era of African adventure. Day 6: Masai Mara Game Reserve Rise early for breakfast before a full day game drive. 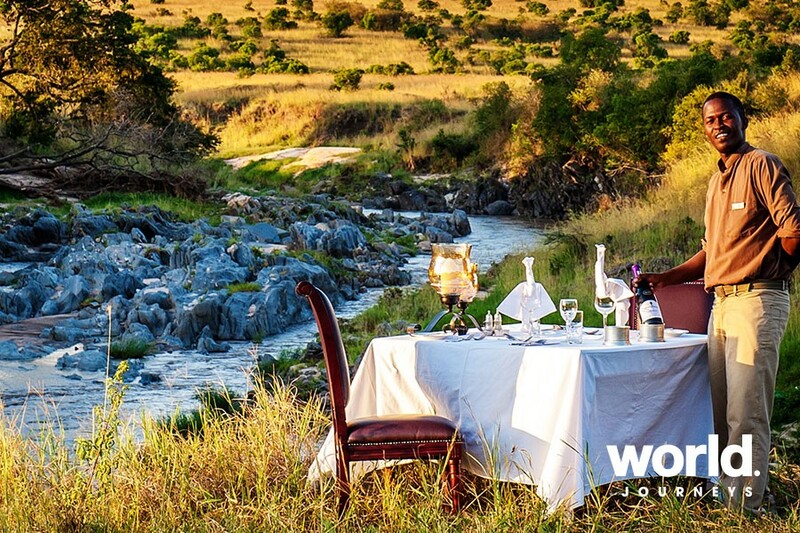 Enjoy a picnic lunch served in the bush. 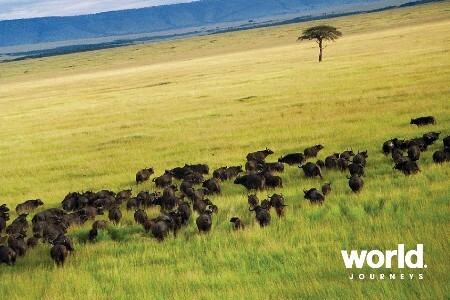 The Masai Mara is famous for its astounding numbers of wildlife. With both resident and transient populations of lion, leopard, cheetah, hyena, giraffe, elephant, to name a few, as well as over 450 bird species, the vast fertile plains are dense with game. 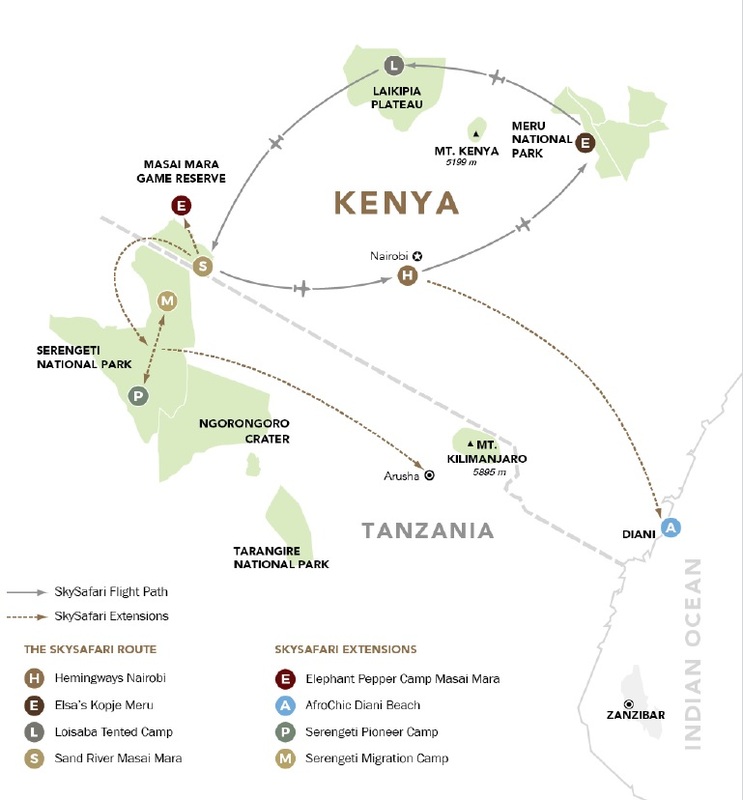 The area has been classified among the "Seven Wonders of the World" due to the extraordinary annual migration from July to November when over 1.3 million wildebeest and zebra cross from the Serengeti to the Maasai Mara in search of greener pastures. 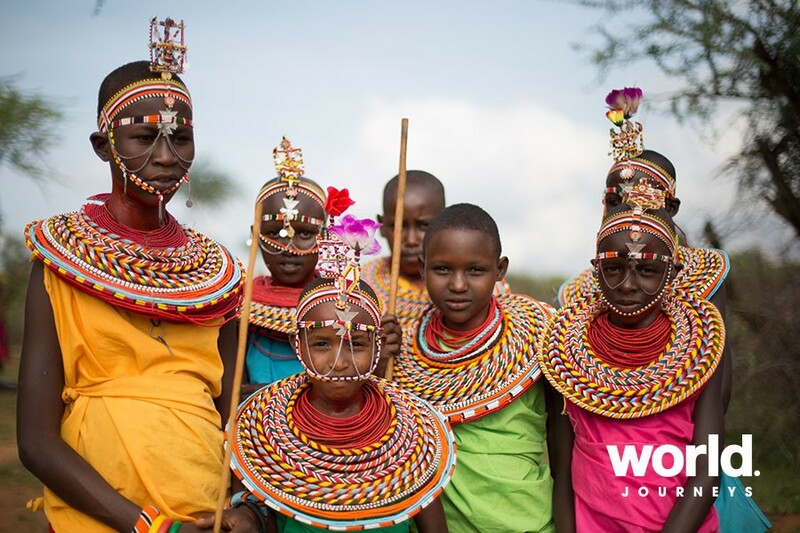 Then you will have the opportunity to Interact with the Masai tribe in their village. A final farewell dinner under the stars. 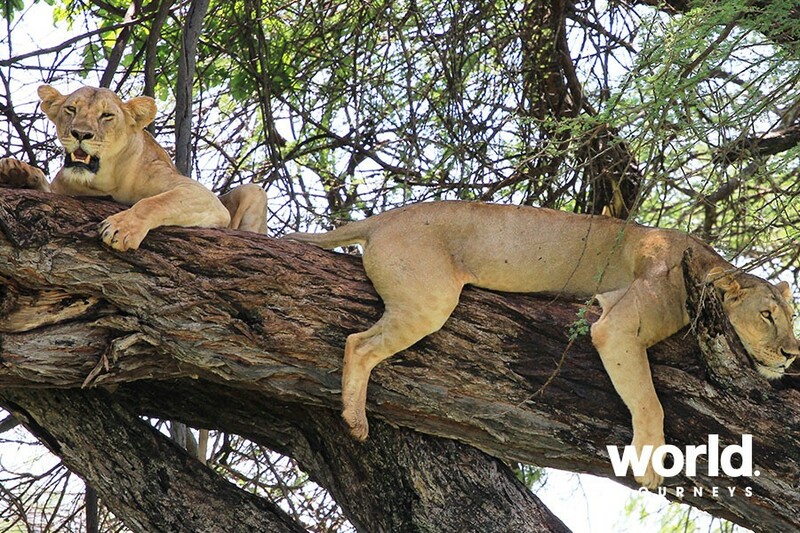 Day 7: Masai Mara Game Reserve > Nairobi Enjoy a morning game drive or relax at camp. After lunch your SkySafari flight will take you back to Wilson Airport. You will be chauffeured to Jomo Kenyatta International Airport; before arriving there you will stop at one of Nairobi's gourmet restaurants where dinner will be served. Arrive at the International airport for your outbound flight. 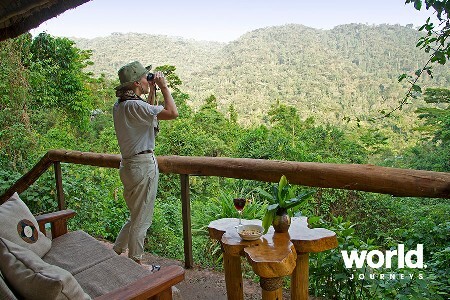 Each of Elewana's lodges and camps provides guests with optional activities that are inclusive to your overnight stay. 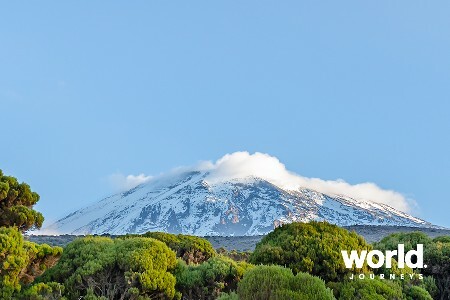 These include: Elsa's Kopje • 215,000 acre National Park • 360 degree views, from Mt Kenya & Nyambeni Hills to the eastern plains • Rhino sanctuary, large elephant herds and the diversity in species. • Bush breakfasts, picnics and evening sundowners • Day and evening game drives in custom designed open sided 4WD game viewing vehicles • Guided bush walks with experienced resident guides • Day excursions to the Tana River and Kora National Reserve • Line-fishing in spring fed streams • Resident Gold, Silver and Bronze KPSGA certified guides.